The annual Spring Eggstravaganza at Santee Lakes returns on Saturday, April 3. The day includes food, games, rides, and, of course, egg hunts for kids age 8 and younger. There is no cost for the event, but parking is $5 at Santee Lakes. The fun starts at 9:00 am and lasts until 3:00 pm. For more information check out the event flyer, or see my story on last year’s Eggstravaganza for pictures. Fun was the order of the day at Santee Lakes as hundreds of people gathered for the Spring Eggstravaganza. From egg hunts to rides to food and music, there was something for everyone there. Although the day was focused on kids, all ages enjoyed the activities as parents helped young children with their egg hunts and grandparents lifted little ones up to see better. The day was put on by the City of Santee and Padre Dam’s Santee Lakes, with support from a number of local businesses and help from numerous volunteers. Finally, over the bridge to the egg fields. Young volunteers helped hand out prize bags to egg hunt participants. There was a special egg hunt area for the youngest participants. There were plenty of rides for the kids. Inflatables for climbing and sliding. The amphitheater area was the site for a number of fun activities. Kids could choose from crafts and face painting. And there were games, like this rather unusual race. Primo Desiderio of Primo DJ’s acted as master of ceremonies for activities, as well as spinning tunes. The day was a success, thanks in great part to the sponsoring businesses, who were suitably acknowledged. And also big thanks to all the wonderful volunteers. Click HERE for more photos from the Spring Eggstravaganza. Looking for a place to hunt the wild Easter Egg? 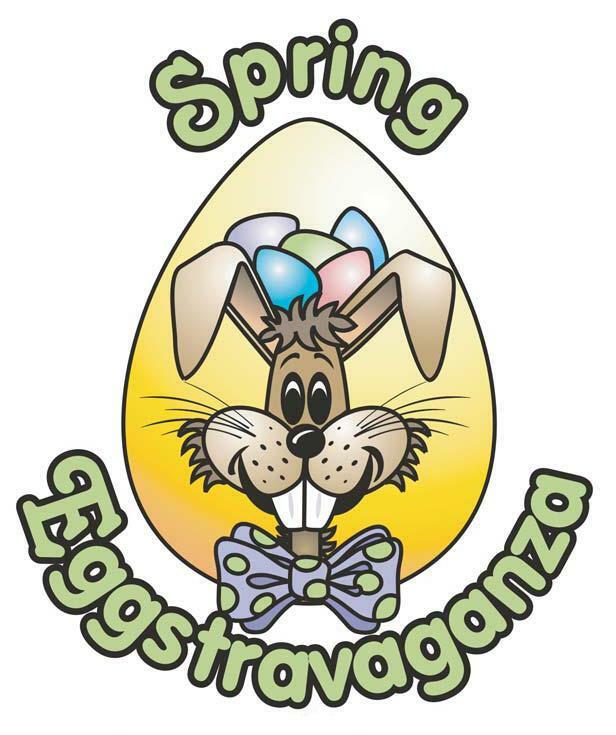 Why not check out the Spring Eggstravaganza at Santee Lakes on Saturday, April 11. The annual Spring dash will be at Lake 5 from 9:00 am to 3:00 pm. Along with the eggs, there will be food, games, rides, and music to entertain one and all. There will be two areas for hunting: Egg Hunt Island for kids 4-8 and the Egg Hunt Basket for kids 3 and under. I would suppose that the youngest kids can get help from parents or older siblings, especially the way-under 3 year olds. Before or after the hunt, kids can enjoy pony rides, hay rides, and petting zoo. The cost to get in to Santee Lakes is only $4 per car, rides will run from $0.50 to $3 each, and food will be available at various prices. For more details, see the Santee Lakes events page.